ChowTime is a free app that works out of the box without an Internet connection*. * An Internet connection is required to run the Setup Tutorial, Seating Chart Editor and Demo Mode. 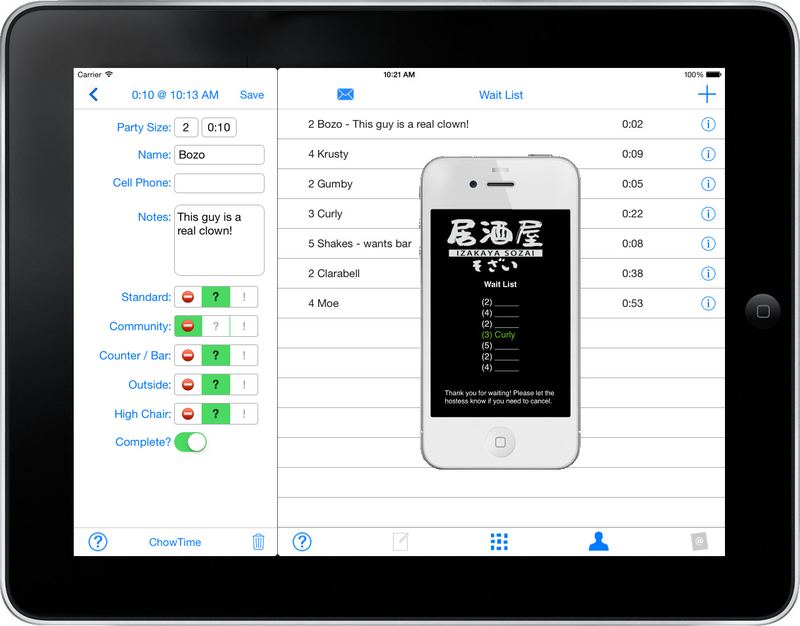 Add online reservations, SMS paging, mobile calendar and cloud backup for just $99* per month. * $49 monthly fee enables cloud account access from a single device. Try ChowTime Cloud Services free for 90 days - no credit card required. 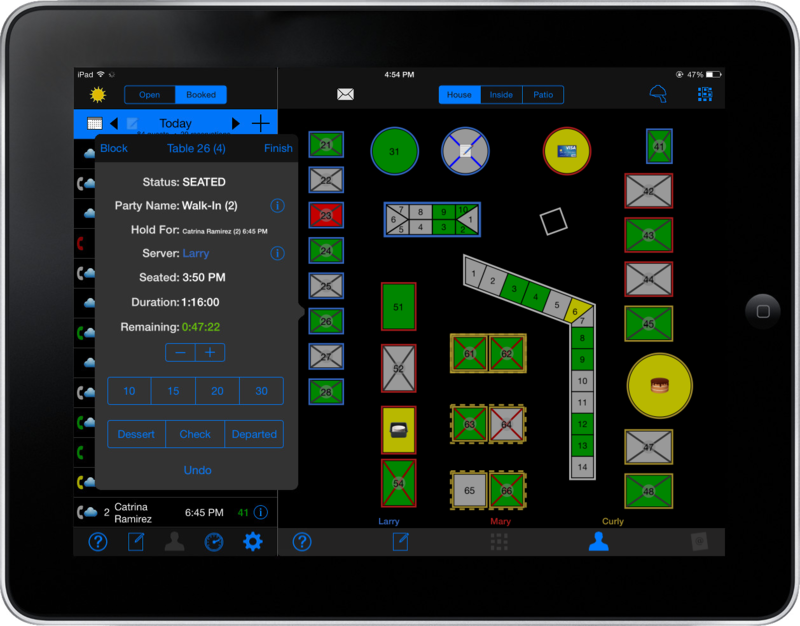 Download the iPad app to get started. Take control of your floor. ChowTime helps keep your reception staff stay "out of the weeds" and focused on your customers. The dashboard will alert your host to situations that may require special attention - such as overdue waits, longer than expected table turns, or late-arriving reservations. Throw out those old fashioned pagers. 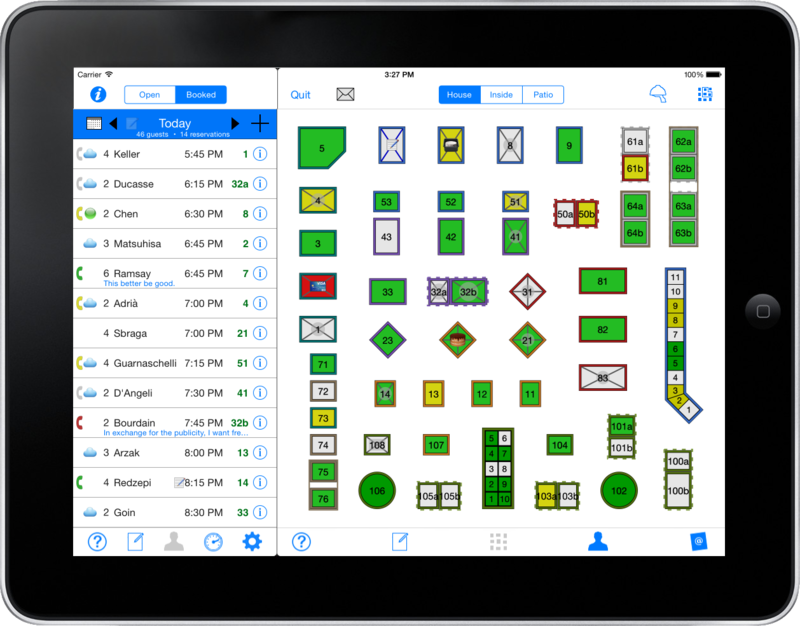 The Seating GenuisTM utilizes your restaurant's seating history to estimate table turn times based on season, day of the week, time of day, party size and specific tables, enabling incredibly accurate wait estimates. Make the switch from pen and paper. With Cloud Services, your Guest Database is automatically backed up on the ChowTime servers every time you make a change. Broadcast deals and specials to your customer and easily communicate with customers via emails or texts directly from the ChowTime app. 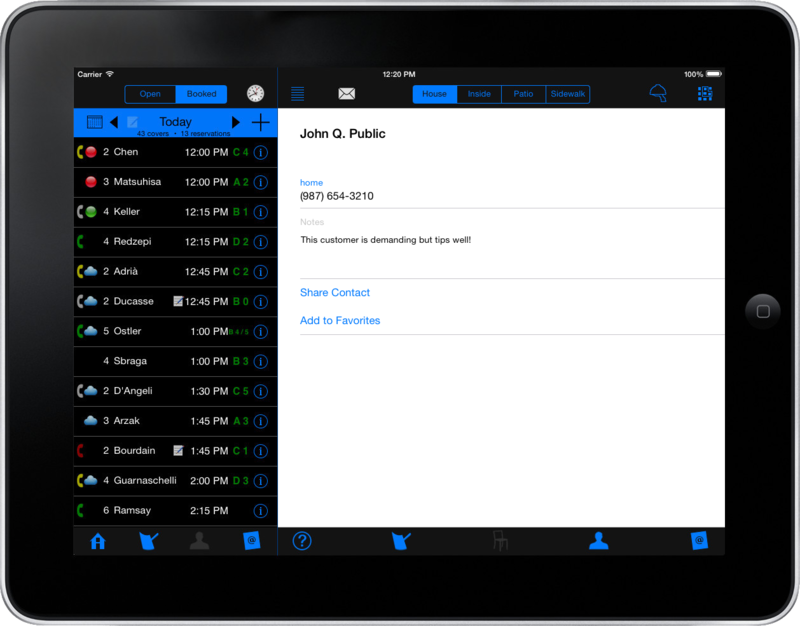 We simply provide a great restaurant guest management system at an affordable price. Copyright ©2015 ChowTime. All Rights Reserved.